This post was originally written a year ago, back when I was super optimistic about how long it would take to launch this blog. The post just seemed like it was meant for spring, so I held onto it until now---once again, the week before Easter. Nearly a full year later, the meals in this book still never fail to perk up my meal planning and remind me why we prioritize gathering around the table. Oh, I love the idea of plotting each meal nicely in it's calendar square, guiding me away from last-minute takeout and the frustration of an empty pantry. I even love it in practice: meal planning undoubtedly saves us hundreds of dollars on groceries each year, not to mention the untold frustrations of dragging two small children to Target for that block of cheese I forgot (again). What I hate is the activity of meal planning. There is never an hour (or even ten minutes) in which I think, "I'd like to devote this portion of my life to figuring out what my family will eat for the next seven days." Never is there a convenient time for digging through the pantry, rearranging pasta boxes and canned goods to see if we're running low on olive oil. And after all that, having the prophetic-like vision to combine the existing pantry goods with not-yet-purchased ingredients and make them into nourishing, well-rounded meals? Meals that fit effortlessly with the weather, our social plans, and whatever other events make their way onto our calendar? Forget about it. Meal planning is a chore on par with scrubbing the bathroom. Until one Sunday night, it wasn't. We had all been crabby and tired this particular Sunday. The toddler had meltdowns all day long. The baby kept bursting into screaming fits for no apparent reason. I accidentally fell asleep on the floor for five minutes when I took a break from folding laundry. It was a long day, one in which we all clearly needed to hit the reset button. The last thing I wanted to do was meal plan, but I knew I had to. It was the week before Easter. Not only did I have to round up a week's worth of dinners (including one vegetarian for Good Friday), I had to make sure I had all the ingredients on hand for the dishes we would bring to our family's Easter celebration. I grabbed my latest Taste of Home magazine from the basket on the fireplace hearth, hopeful that it would tell me how to make green bean casserole. Next came the mother of all cookbooks: Better Homes and Gardens. Its red-checkered cover has graced my kitchen since the day I got married, when my other grandma presented it as a wedding gift. And then on a whim, I picked up Eat This Poem by Nicole Gulotta and added it to the top of my pile. With my whiteboard calendar on my right and my stack of recipes on my left, I prepared to tackle the drudgery of meal planning. But the drudgery never came. As I read through my grandma's handwritten recipe notes, I realized that I was sitting in complete silence for the first time in days. It was a moment that begged to be noticed, so of course, I read a poem. Author Nicole Gulotta is a kindred spirit when it comes to poetry and writing and appreciation of good food. But I don't always share her idea of what good food looks like. She eats a largely vegetarian diet, and ours is decidedly meat based. She loves a good balsamic vinaigrette on a salad; I love Hidden Valley Ranch. Still, we agree on the important parts: The best food is whole food, made from scratch, shared with those you love. Family recipes are sacred. Eating seasonally makes your food taste better. I flipped through the book, devouring poetry and short essays along with recipes (many of which I know I'll never make). Soon an hour had passed , yet nary a meal had been planned. And then, Italian Beef Stew. This was the recipe I'd been waiting to find, the one that would fill us up on a chilly, rainy Monday. I added the ingredients to my list. I pulled meat to thaw from the basement freezer. I added a flag to the book. This was meal planning as it was meant to be, savored as slowly as the meal itself. I had found connection through the line-by-line instructions of a family recipe, paired with carefully chosen poems. Perhaps this meal planning was a failure. After all, I spent nearly two hours planning one meal. But I think it was a gift and a blessing, one I will be sure to seek out again. February is the shortest month, and also the slowest. Maybe it's because we're heading toward the end of a restless winter with little kids who are sick of being cooped up, or maybe it's just my own restless spirit sick of doing adult things like taxes, but the end of the month couldn't come soon enough for me. Surprisingly, I still managed to work in a decent amount of reading in the last 28 days. (We'll call it escapism from the dreariness of everyday life lately.) In case you're catching up, 2018 is my year of reading deeply. I'm evaluating each book based on overall enjoyment as well as a set of criteria I made up to qualify a book as a "deep read." Now that I'm looking back on what I've read this month, it's clear I need to shake things up a bit in March. Nearly every book this month fit into just one category, which explains why I was starting to feel a bit antsy about my reading life, despite choosing a batch of (mostly) good books! Marina Keegan seemed to be going places when she graduated from Yale in 2012. She'd written for the Yale Daily News, she had a play produced at the Fringe Festival, and she had a job lined up at the New Yorker. Then, five days after graduation, she was killed in a car accident. The Opposite of Loneliness is a collection of her short stories and nonfiction essays published posthumously by family and friends. The beauty of this book lies in its tragedy. The title essay in particular featured Keegan repeatedly noting to her fellow graduates how young they were, how much time they had left to make their mark on the world. Several other essays included lines that wouldn't have been remarkable in their own right but that became chilling reminders that the author's life was cut short: references to having children someday, or an off-hand comment about what she'd eat as her last meal. But the tragic circumstances alone weren't enough to salvage this book for me. Keegan's writing was top-notch for a college student . . . but it was still a collection of unrevised homework assignments. If I were in her shoes, I'd be mortified to know that words I thought would never go beyond a classroom workshop or the college paper were in the hands of readers around the world. The best essay in the book is, not surprisingly, the introduction by Keegan's professor and mentor, Anne Fadiman. Bottom line: Read the title essay here and pass on the rest. The Enneagram is a personality typing system that's recently been gaining in popularity but that has been around for thousands of years. The gist of it is that every person falls into one of nine types. Your type describes not only your strengths, but your deepest weaknesses and inner motivations. Unlike most other personality profiles, the Enneagram encourages you to confront the worst parts of yourself, not so you can change who you are, but so that you can learn to acknowledge your weaknesses and be a better version of yourself. Beth Ann Fennelly's writing is something you have to experience to understand. It's the perfect merger of poetry and prose. I first fell in love with her words when I read Great with Child one week postpartum with my first baby (the moment I always remember involved me sobbing in the bathtub while my baby screamed on the other side of the door). So when I saw that she had a new book out, I didn't hesitate to order it. Heating & Cooling is one of those rare books that gets at the heart of life without wasting words. The longest essays are maybe five pages, while the shortest are just a few lines. Nearly every page had me either tearing up or laughing out loud. It was especially perfect for reading when you have just a few minutes before dinner comes out of the oven (or before your kids lose their minds screaming about who knows what). Bottom line: If you appreciate good writing even in the slightest, read it. 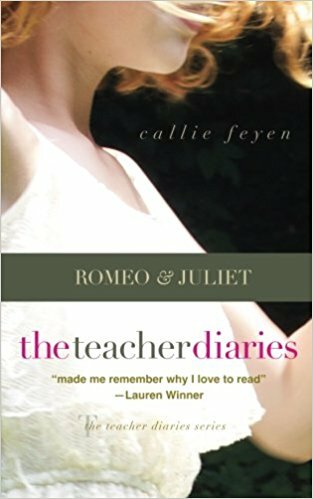 Not only is Callie's writing exceptional as always, it takes you right back to those memories of your first kiss, navigating tricky friendship dynamics, and your own first encounter with Shakespeare's classic characters. I dare you to read it without gaining a new appreciation for all the teachers who guided you through the harrowing teen years. To learn more about how these essays came to be, you can hear all about Callie's book-writing process on the podcast. Bottom line: Highly recommend for teachers, parents of tweens or teens, and anyone who's a sucker for a well-written essay. 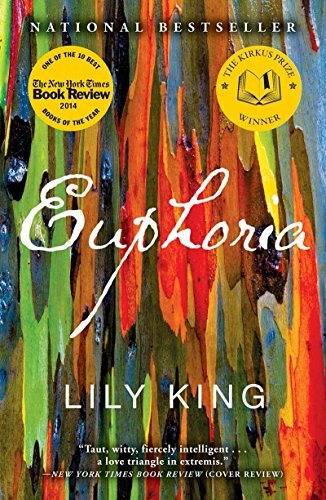 Euphoria is a story loosely based on the real-life adventures of anthropologist Margaret Mead. Deep in the heart of 1930s New Guinea, three anthropologists---Andrew Bankson and married couple Fen and Nell---find themselves thrown together as they study various tribes that live on the riverbanks of the Sepik River. Romance, violence, and rivalry are all thick in the humid air as the three take very different approaches to their work and come face-to-face with their fear that none of them may ever attain what they truly want. If it sounds like not much happens, well, that's literary fiction for you. Euphoria's writing, characterizations, POV switches, and atmospheric setting are all front and center. The plot? Not so much. This story is a slow burn, and it's definitely not the right book for everyone. But if you see it through to the end, you'll have more than enough material to discuss with a friend (it would probably make a great book club pick!). Bottom line: Give it a chance if you're a diehard fan of literary fiction and if you don't mind waiting until the last 50 pages to get to the juicy parts. Looking for more book inspiration? Click here to see what else I've been reading in 2018! January is done and gone already, and with it the five (!!) books I've already managed to read this year. I wrote earlier about my goal to read deeply in 2018. This is partially to make sure my reading life is aligned with my values overall and partially to make sure my reading doesn't eclipse other creative projects I'd like to tackle. I'm not sure if I'll keep up with these book reports every month all year, especially if I start reading fewer books each month, but this seemed like a good way to check in on how I'm doing with my goal of reading deeper. Here's what I read in January and how each book fit my criteria for reading deeply. Check back to my original post about deep reading to learn more about the criteria I use when choosing "deep" books! This list contains affiliate links. Star rating: N/A. This one was so complex for me that I decided not to give it a star rating. I'm a little bit of a conspiracy theorist at heart. One of my secret hangups is the fear that artificial intelligence (AI) technology is developing so rapidly, and oftentimes with so little care for the consequences, that it's going to get away from us one of these days. So when I heard about a book dedicated to exploring the future of AI and why we shouldn't fear it but should look for the benefits, I knew I had to read it. The Sentient Machine definitely made me think, but I disagreed with the author at nearly every turn. We just look at the world from such opposite viewpoints, it would have been almost impossible to get on the same page with the moral issues surrounding AI. Husain rushed headfirst into the benefits of AI based on ethical and moral assumptions that I, and I'm guessing many other Christians, don't agree with. He also referred to all the major religions as "myths" and, at one point, collective lies we tell ourselves as humans. So that's problem number one. Husain gave thorough breakdowns of what sentient AI could look like in different industries, but he never stopped to consider the ethical problem of basically creating a race of sentient robot slaves. Though Husain's arguments were interesting, they didn't have enough of a foundation to convince me of anything. Bottom line: Recommended for people who are already interested in AI or the future of technology. Pass for everyone else. I generally like Emily Ley's work, but this one left me disappointed. 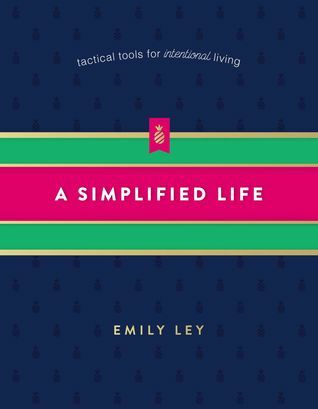 The goal of the book was to walk readers through different areas of their lives---marriage, parenting, wardrobe, spiritual life, etc.---and help them simplify each category so they could focus on intentional living. Unfortunately, the whole thing was too shallow to be of much use to anyone. I've read blog posts that go deeper than some of these chapters! My (potentially too harsh?) opinion is that this was just another that was only written because a publisher saw potential in the author's platform. There was nothing new here, and it ended up being the opposite of deep reading. Bottom line: Recommended for anyone who's literally never read a minimalism or simplicity blog or has never heard of Marie Kondo. Everyone else can probably skip this one. I'm a sucker for fiction based on fairy tales or folklore, and this one didn't disappoint. The Bear and the Nightingale is set deep in the heart of the forest in medieval Russia. Vasya is a strange, wild girl who doesn't accept that her only options in life are to marry or join a convent. She and her siblings have grown up listening to fairy tales about the creatures who lurk in the forest, especially those about Morozko the frost demon, but Vasya has never feared the wilderness. When the household gains a strict new stepmother and a priest from Moscow after Vasya's father remarries, something begins going awry with the forest spirits. It's up to Vasya to find out why if her village is to survive the harshest winter they've ever known. This is one of those books with a plot that's tricky to explain, but the writing is gorgeous. Take it from me, it's better than it sounds. This is the perfect book with atmosphere, and the rich history of Russia make it reminiscent of historical fiction along with its obvious fantasy bent. Bottom line: I'm tempted to say everyone should read this, but it's an especially good choice for anyone who loved The Night Circus or who's interested in Russia and folklore. Perennial Seller is the ultimate meeting place between books about making art and books about selling that art. Holiday dives deep into what makes certain works timeless. Why do people return to Jane Austen's novels as beloved favorites hundreds of years later? What makes one book or song or painting stick while others are forgotten? The conclusions Holidays reaches are fascinating and something I'll be keeping in mind with my own creative projects. I was afraid this book would tend too heavily toward business and marketing, but that wasn't the case. Holiday spent the first third of the book focusing on the creative process. I especially appreciated his stance that mediocre work will never become timeless. It's worth it to focus on the art and create something great. I also liked his view that creating and selling art is a cyclical process: some seasons will be devoted to creating, and some will be spent marketing. It's when we try to mix the two that we get into trouble. As someone who's trying to go deeper with my focus on creative projects this year, that was such a relief to read! Bottom line: Recommended for anyone who ever wants to create something that lasts, or even create something that sells. I think it's a great starting point for creatives who are skittish about the marketing world, but if you're currently burned out on business-y books, you might want to save this one for later. I cheated a bit on my deep reading goals with this one. The Rose and the Dagger is the sequel to The Wrath and The Dawn, which I finished in December. I didn't want to leave the duology unfinished for the whole year (even though I was pretty sure I wouldn't like the second book as much as the first), so I gave myself an exception. 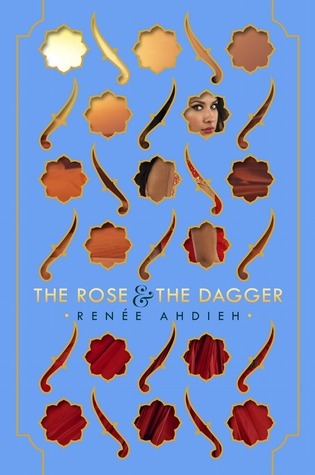 The series is a retelling of the Thousand and One Nights, with Shahrzad volunteering to become the next wife of the murderous king, Khalid, after her best friend is killed at his hand. It's hard to talk about the sequel without giving anything away from the first book, so I'll just say that it's a decent enough YA read. Once again, I was drawn in by the "retelling of a classic" spin, but the writing style really bothered me. I actually ended up skimming through much of The Rose and the Dagger just to catch the main plot points because the writing and POV switches were getting to be too much.